When the Nimbus first appeared in 1919, competitors mocked its strange look (a round-tank in a sea of flat-tank motorcycles). However, it was a good reliable performer and was quite popular. Pedar A Fisker promoted the model by riding one himself in various trials and races with notable successes. 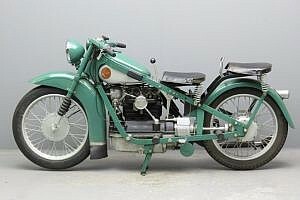 The design went through an improved ‘B’ version, before production stopped around 1928, by then 1252 motorcycles had been manufactured. 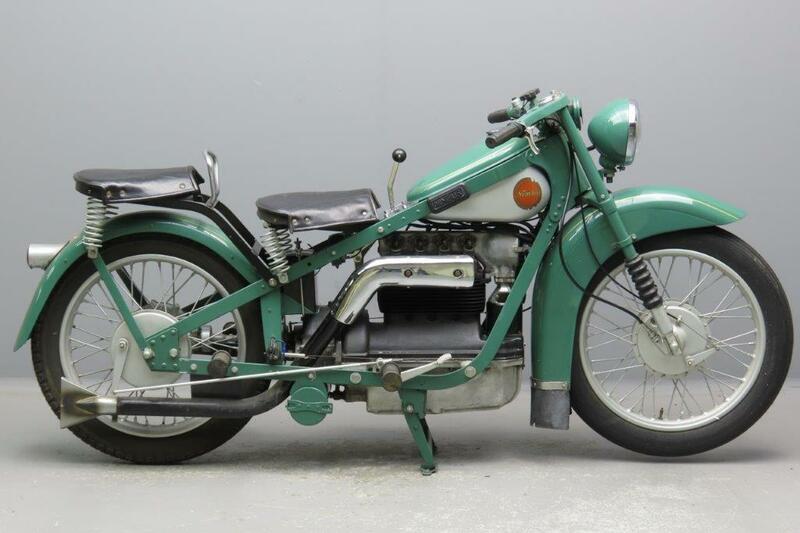 Although a very good motorcycle, it was just too expensive to sell in enough quantity for the recessionary market conditions at the time. 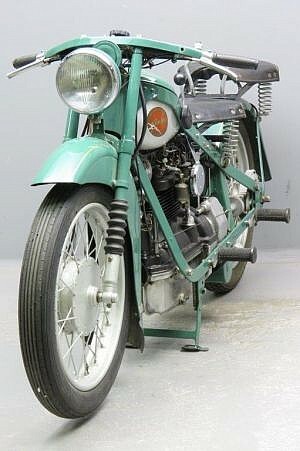 By the early thirties Fisker thought the time ripe for a new venture in motorcycle production. In 1934 a new building was commissioned and the new “ Model C” was brought out in April of that year. The flat steel strip frame was a feature in common with the “stove pipe” , but most other features were totally new: the top half of the crankcase was cast in one piece with the ribbed air cooled cylinder block. 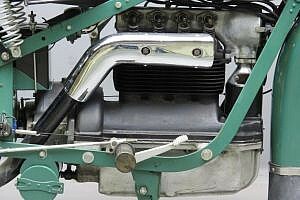 The iron cylinder head sported an overhead camshaft. The crankshaft drove this overhead camshaft through the upright mounted dynamo via sets of bevel gears. A Nimbus is a real touring motorcycle; it provides 18 HP @ 4,000 RPM. It is a pleasant and unusual design with a good spares situation. 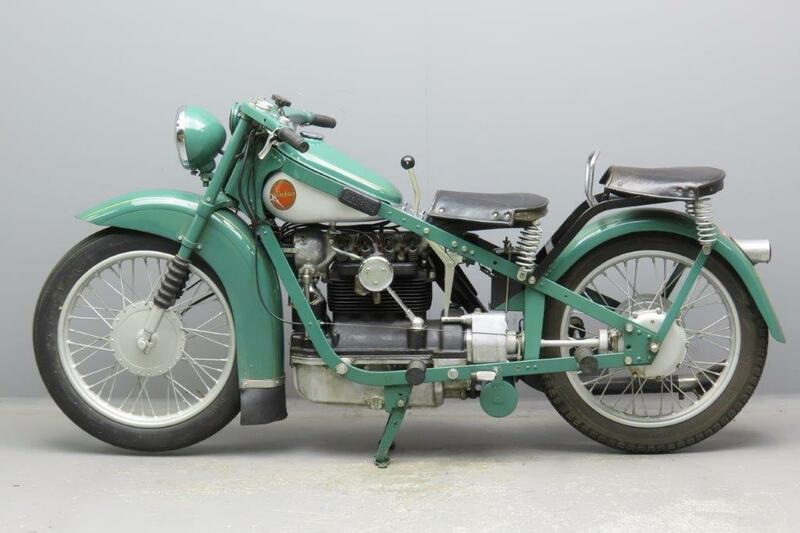 Most model C’s were purchased by the Danish army, police, and post office. 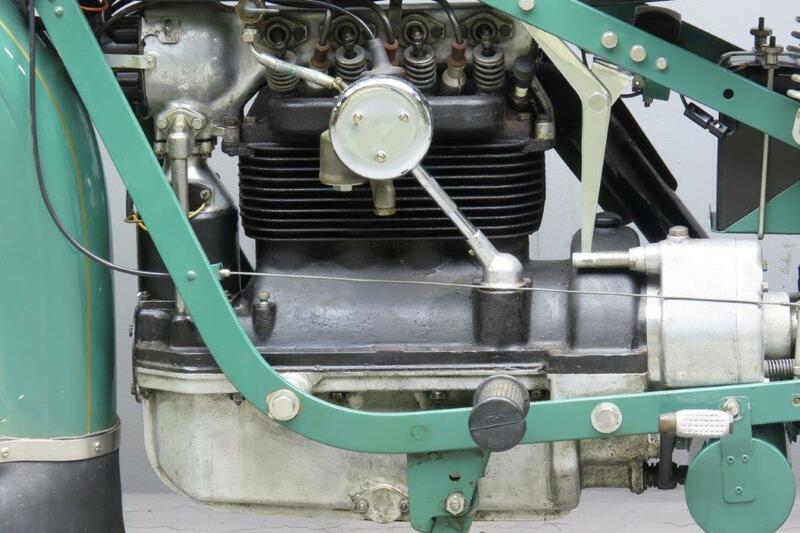 It is worth noting that the concept of maintenance of the model C was to swap complete engines so it is very rare to find matching engine and frame numbers today. 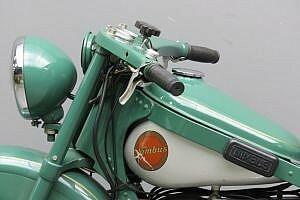 This early Nimbus is finished in the Pine Green colour that was, together with Wine Red, reserved for the luxury models. 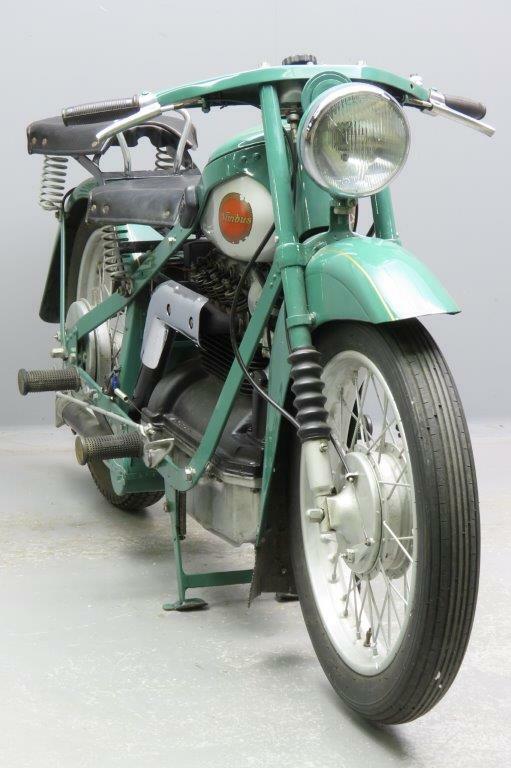 It has been restored and is in excellent technical condition throughout.